Partnering and motivating CORPS is key to CHAT’s innovative “Exit” Strategy”. CHAT empowers individuals in the communities we serve to become Family Planning Community-Own Resource Persons (CORPs) and community based HIV/AIDS Counselors and Testers (CORPs). These CORPs all implement CHAT’s “Back Pack” strategy providing door to door services. They act as partners to provide continual support to their local communities when the clinic is not present. Additionally, with the support of CHAT, many of the CORPs, with the additional support of the Ministry of Culture & Social Services have initiated legitimate community based organizations (CBOs), becoming Village Development Committees (VDC) which include being health support groups as well as steering opportunities for local income generating activities (IGAs). ​These help fulfill CHAT's vision of community self-sustainability. 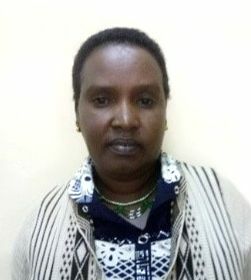 Justice Leorto is a CHAT HCTCORP, based out of Barsaloi in Samburu North, and runs a group that farms aloe, optunia (prickly pear), gum arabica, myrr gum and ethnobotanicals as well as participating in beadwork and mat making. Susan Lenantare is married with four children and owns a small foodstuff and bead work business. 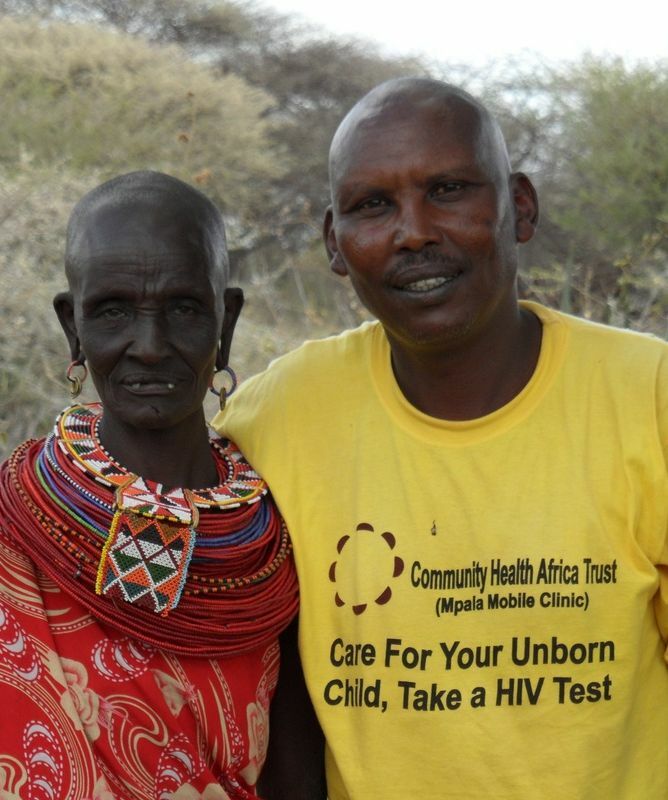 She assists communities in Lodonokwe and neighboring conservancies in Samburu East to access family planning. She also assists CHAT with providing FP sensitization in other counties. She is a friendly cheerful person who interacts well with the communities. In her free time, she enjoys socializing and traveling. 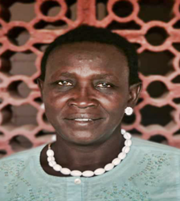 Jane Nteiyan is a 30 years, married mother of four who attend school in the local primary. She lives in Wamba in Samburu East and has a small business selling food stuffs and beautiful bead-work. She enjoys cooking. 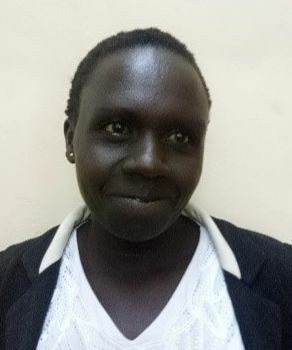 Silvana Lepurdati is a 20 year old mother of a two years old son and she is married to the local school teacher in her village of Ndonyo Nasipa which is in Samburu East Sub County. She likes to volunteer at the local health facility. She is skilled in bead work and makes beautiful artifacts out of her unique skills which she sells in the nearby market. Her hobby is singing Samburu folk songs. 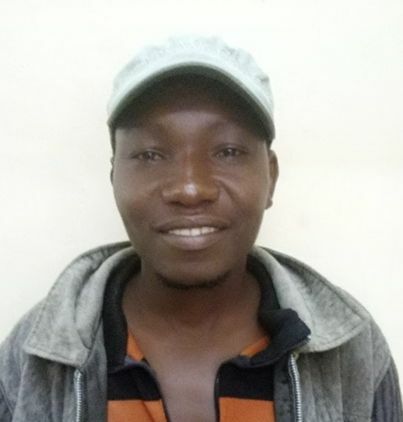 Chondo Akuagoro is a 42 year old single dad to two girls. He helps people living with HIV/AIDS and also provides door to door family planning. He has formed two support groups for people living with HIV/AIDS, situated in the slums and suburban areas of Maralal. He also makes and sells soap and biofuel briquettes. Loise Akai is a charitable individual who goes to visit the less fortunate and the sick to provide support and encourage them. Besides doing all this she does sensitization and mobilization about family planning and its relationship to the environment - in her local area of Maralal and Suguta Marmar. 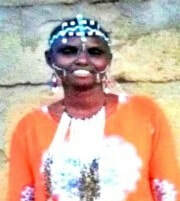 Agnes Safina is 31 year’s old, married with three children living in Kisima area located in Samburu Central Sub County. She has established two health support groups and assists with mobilization of communities around Baawa & Suguta Marmar both of which are also in Samburu Central. Agnes practices poultry keeping and likes educating people on health and environmental issues. Nawasa Erupe is from South Horr in Samburu County. She is 53 years old married and a mother of seven children. She works hard to ensure that her children will get an education. When she has time, Nawasa likes to do voluntary health work. 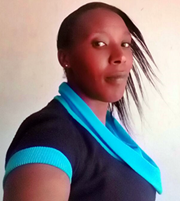 Zipporah Leleruk is a 36-year-old single mum with two children living in Lerata area, Samburu East Sub County. She runs a small vegetable stand and is very engaged with her community members of Kirish. Often, a small group of women will gather to chat and learn from each other at her market stand. Jane Lealmusia lives in Lukumkum, a small village at the foot of the west Ndoto Mountains in Samburu North; it is a tough and remote environment. She is 30 years old, married with three children. Jane has a small local kiosk where she sells local commodities. She is very adventurous and likes to discover new things and places. Jane often volunteers with the local dispensary. Jennifer Lekiripati has a very inquisitive mind; she is currently learning and perfecting her skills in bead-work. She helps CHAT with community mobilization in Suiyan and is very passionate about ecological awareness. Samuel Parare is a 37-year-old married father of four. He lives in Tutu, about 15 kms out of Nanyuki town – neighboring Endana & Ol Pejeta. He has a boda which he uses as a taxi service. He also uses his boda boda to mobilize communities about family planning in the larger Laikipia North. Samuel is a pastor and loves to preach and talk to the community members. He also likes watching football. Felister Namsungu lives in Ewaso village in Laikipia North. She is 30 years old and a single mother of three. She is a member of a group of women who make beautiful beadwork pieces which they sell. Apart from sensitizing and mobilizing her community about family planning, she likes to volunteer in the health center and help HIV/AIDS patients in whichever way she can. 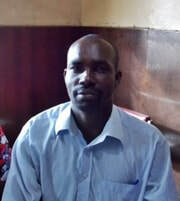 Charles Ndegwa is a 44 year old married father of four. Apart from working with CHAT assisting with family planning mobilization, he goes tracing TB defaulters in communities around the Mt. Kenya region, including the IDP camps in Laikipia Central. He is a small scale farmer who likes listening to music, playing darts and traveling to new places when he is free. He is passionate about helping the needy in the community. 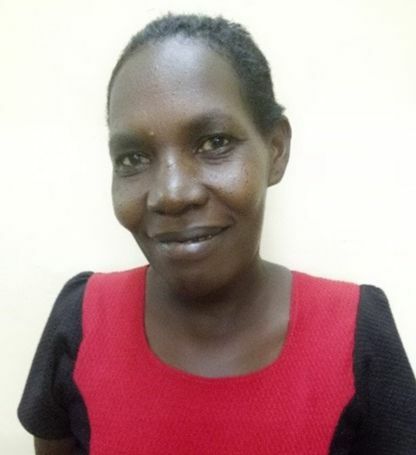 Roselyn Mulonzya is a 49 years old single mother of two children. 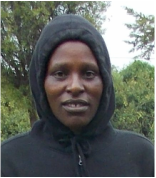 She lives and works in the Nanyuki slums in Laikipia County, where she runs a small business selling vegetables. 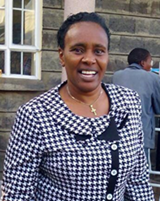 She also often assists CHAT with FP sensitization in Nanyuki town, Nyandarua, Tharaka and Mwingi North Counties. Roselyn likes to volunteer and is a very active social worker. When she has time to spare, she likes to practice dress making. 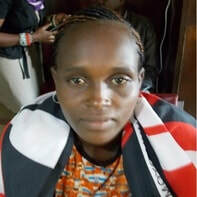 Esther Akeno is a 35 years old single mother of two - a boy and a girl, both attending the nearby primary. She is from Rumuruti town in Laikipia West and likes to farm. When Esther is free, she likes to travel and listen to gospel music – which you will often hear her singing. 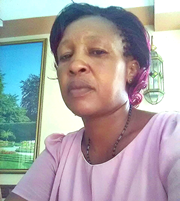 Pauline Lokipi is 42 years old, married with five children. She likes to promote education in her local community in Laikipia West Sub County. She does bead and leather work, and makes reusable sanitary towels. Pauline also, oversees two health support groups. She likes singing and enjoys farming on her small homestead. 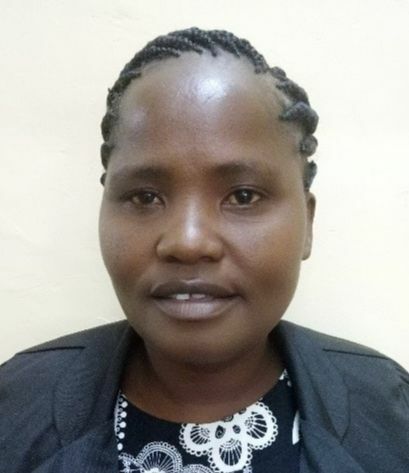 Mary Kadogo is a 33-year-old single mother of four children. She is originally from Baragoi but has been living in Juakali Laikipia for as long as she can remember. In Juakali, Village. Kadogo works in farms where she is able to interact with more of her community members who live in her area and work with her. She likes sports and is always eager to play any game. Loise Kimiri is a married mother from Doldol. Loise is ever busy in her community helping as a health volunteer and mostly she is sensitizing the community members about good health practices. Loise is keen on working together with her community in ensuring a good water supply for their domestic uses, and for their livestock. She likes traveling and meeting new people whenever free. Florence Naeku, who barely looks 34 years old, is a married mother of 5 children. 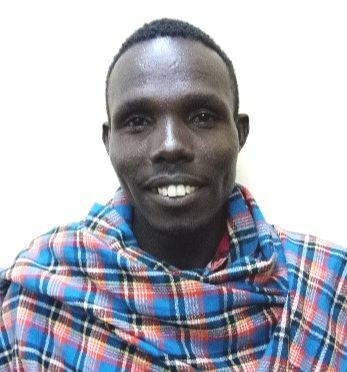 Hailing from Emarti in Narok County in southern Kenya, Naeku is a small-scale farmer and keeps poultry. She is an assistant preacher at their local church, The Local World-Wide Ministries and likes to preach the gospel to her community members whenever free. 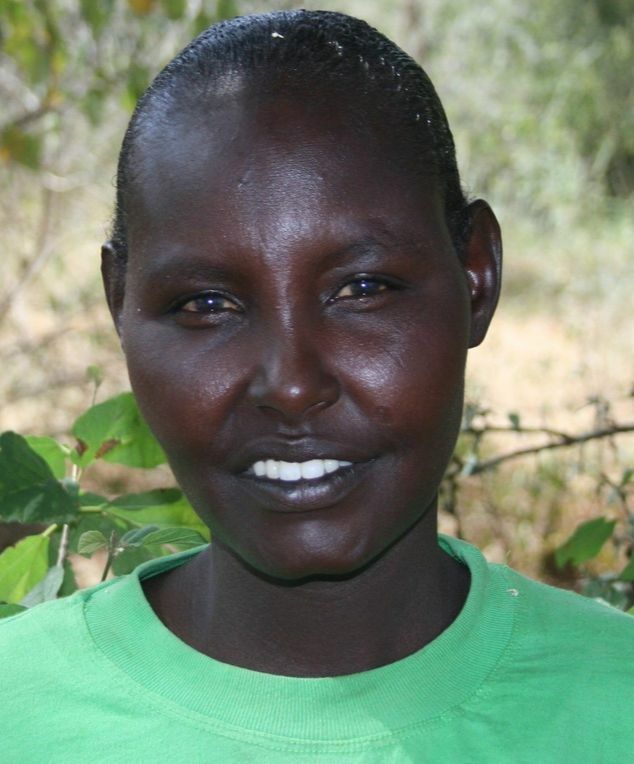 Nelly Naipanoi from Ololunga in Narok County - in southern Kenya, is a married mother of two. She is a 32-year-old hair dresser and likes to interact with her clients as she beautifies them. Nelly is a very sociable individual and whenever free, she likes to swim and travel to interesting new places. 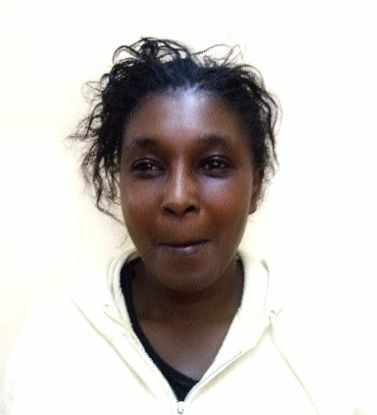 Susan Nzyake from Kamuongo is 40 years old and a mother to three. She runs a small retail kiosk selling basic commodities – here she gets to interact with all kinds of people. She is also very enthusiastic about livestock keeping and is teaching community members on how to maximize on their few resources so as to take care of their animals, as well getting to learn from them what has worked for them – and possibly practice it herself. Lucy Mbulu is a mother of four. She partakes in many roles in her community of Kyuso. 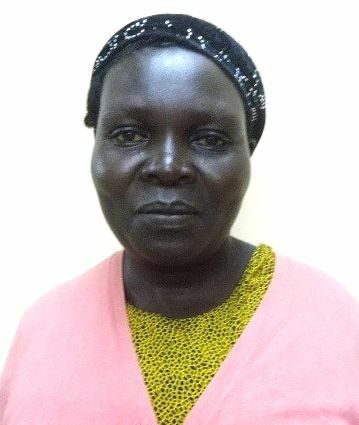 She is the leader of a group of 80 Community Health Volunteers; she is a village elder as well as the church chairlady. She has a small tea kiosk that she uses for interactions with the community. She loves to read and learn new things when she ever has free time. 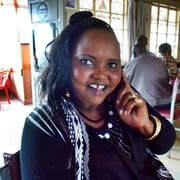 Juliet Ndung’e is a single mother of four from Waita. She is highly skilled when it comes to making of sisal ropes and sells vegetables in her small vegetable stand at their community centre. Whenever Juliet is free you will find her attending to domestic animals as she loves taking care of them and learning new things about animals to enhance her knowledge on them. Through his prowess in football Jonathan Kinyua gained popularity in his local community and those surrounding. He now uses these interactions with the community to talk and educate them on family planning and its relationship to the environment as well as debunking all the myths and misconceptions that might be in existence. 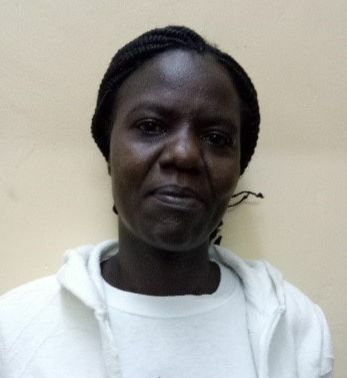 Mercy Kiura is a 40-year-old married mother of 4, 2 boys and 2 girls, from Ciakariga in Tharaka Nithi County. She is jovial by nature and likes to cheer people up despite their challenges. Aside from being a very engaging FPCORP she is a small-scale farmer, with a small piece of land in Ciakariga where she grows green grams and has a few mango trees. She also volunteers at her local health center. 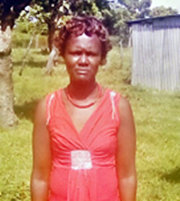 Eunice Karimi is a 39-year-old married mother of 4 children from Nkondi in Tharaka Nithi County. 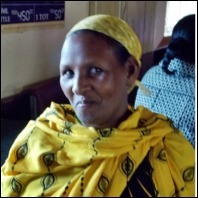 She is a well known Community Health Worker (CHW) and is popular with the communities and is a good at networking. Through her active involvement in women groups, which were formed to empower residents, she uses them as a platform for her sensitization. She is also a small scale sorghum, millet and green grams farmer. 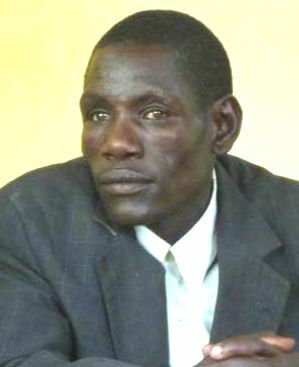 Joseph Koskei is a 53 year old father of five children, two girls and three boys and married to one wife. (polygamy is legal in Kenya). He is a small-scale farmer from Tinderet, a village in the highlands of Nakuru County. He includes in his areas of work providing door to door family planning, this includes the communities in the IDP camps which have a large needy population. He likes to read the bible in his free time. 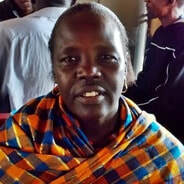 Agnes Kangogo is from Mchongoi in Baringo County. A community perched on the eastern edge of the Great Rift Valley with spectacular views. She is 30 years old, a single mother with one son. Agnes volunteers at the local Health Facility and works as a casual worker, when they are under staffed. She mobilizes locally and also in neighboring communities. When she has spare time, Agnes likes to play football. Jacqueline Gichana is a 34-year-old single mother of 3, two girls and a boy, and her home is Nyamira in Kisii County in Western Kenya. She is a small-scale farmer and likes to travel, read, listen to music as well as cook delicious meals. She is very passionate about empowering women and she strongly believes that with the knowledge and services she shares about family planning, a lot of women will benefit and there is going to be a notable change in their lives. Jane Kamau is a married mother of four. She is 45 years old and from Dagoreti in Nairobi. Jane is fully engaged in her communities’ work, always helping the needy whenever or however she can. Jane keeps chickens and is very proud of her small kitchen garden where she boasts of not having to keep buying her vegetables from local vendors. Her hobby is listening and dancing to local music called “mugithi”. Madina Dima is 42 years old, a married mother of eight who lives in Isiolo town where she runs her own small business selling food stuffs and keeping poultry. She works alongside CHAT helping and empowering both her local community within the town of Isiolo, and the neighboring rural communities in Eastern Isiolo. Her work helps to ensure that young girls and women within the larger Isiolo County are able to access family planning and TB treatment and support. Madinah enjoys cooking. 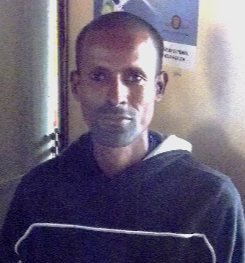 Julius Emuria is lives in Ol Donyo Nyiro, situated in the west of Isiolo County He is 43 years old, married and a father of three. He likes to volunteer his skills and you will frequently find him helping out in neighboring health facilities. Whenever free, he likes to socialize with friends and the community at large. He is very passionate about livestock keeping and is always out to learn something new about the animals. Stephen Turuga is 36 years old, married with four children. Stephen is a HTC Counselor by profession and supports this with FP mobilization in Namarei Laisamis sub County of Marsabit County. He also supports Namarei health facility as a volunteer especially during MCH clinics. He keeps livestock and sells them to sustain his family. Celina Bulo is from the northern town of Laisamis in Marsabit County. She is 37 years old, married and a mother of four. She runs a small local shop in Laisamis town where she stocks basic commodities for daily use. She likes singing in the choir, discovering new places and travelling.